“In the late 1990s and early 2000s, the landscape of television began an unprecedented transformation. While the networks continued to chase the lowest common denominator, a wave of new shows, first on premium cable channels like HBO and then basic cable networks like FX and AMC, dramatically stretched television’s narrative inventiveness, emotional resonance, and artistic ambition. A new breed of auteur – given the chance to make art in a famously maligned medium – took full advantage, sometimes proving to be nearly as conflicted, idiosyncratic, and “difficult” as the complicated protagonists that came to define the genre. 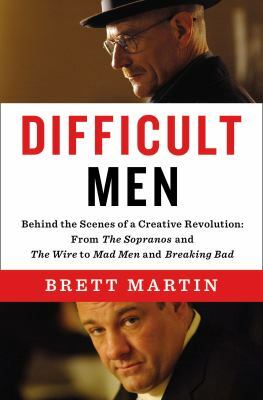 No longer concerned with creating likable characters, self-contained episodes, or subjects that were deemed safe and appropriate, shows such as The Wire, The Sopranos, Mad Men, Deadwood, and The Shield tackled issues of life and death, love and sexuality, addiction, race, violence, and existential boredom. Just as the Big Novel had in the 1960s and the subversive films of New Hollywood had in the 1970s, television became the place to go to see stories of the triumph and betrayals of the American Dream at the beginning of the twenty-first century.